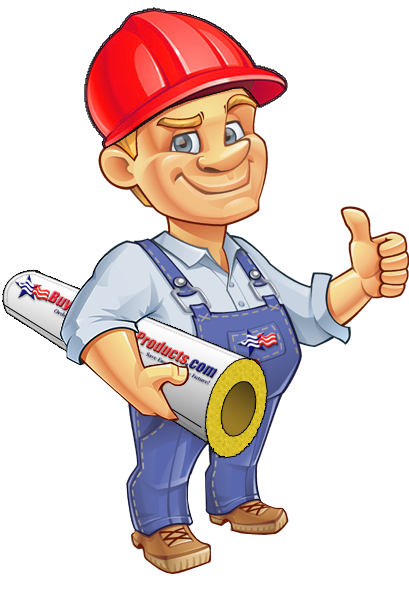 Installing pipe insulation is rather a simple and easy project that anyone can accomplish. The good thing about a pipe insulation project is that the requirement for tools is limited to a sharp knife, a handful of PVC tacks, and a roll of ASJ tape. The only problem that can go wrong is not knowing the size of the pipe you want to insulate! The purpose of this page is not to discuss Nominal Pipe Size vs. Iron Pipe Size, or the inner diameter of your pipe, etc. 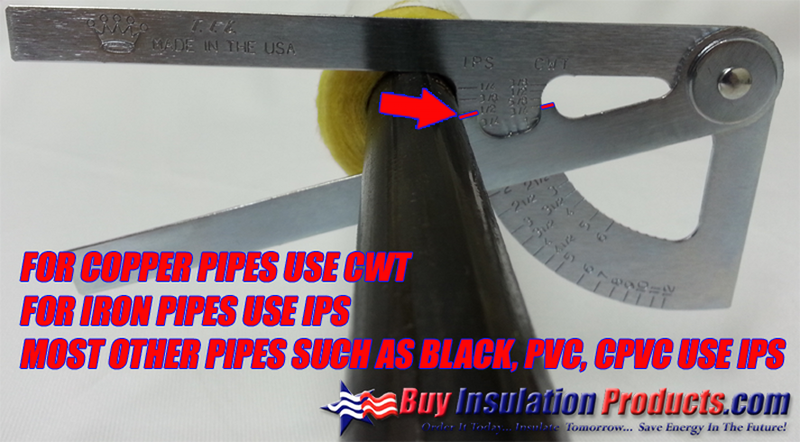 This page is intended to guide you through how to identify the size of your pipe for buying pipe insulation from BuyInsulationProducts.com online store. For Copper pipes, the good thing is most of the new copper tubing is labeled with ink and sometimes etched with the tube size. This makes identifying the size of your pipe very easy. If you can identify the size of your copper pipe go to our Copper to Iron Conversion Page to see which insulation size to order. For PVC or CPVC, these pipes are usually clearly labeled with the pipe size in inches. If it says 3" PVC pipe, order 3 x 1 (or whatever insulation thicknesses needed). The same goes for any other Iron or Black pipe that is labeled with the size, that is the size to order. 1. Measure the Outside Diameter of the Pipe: You can do this with a regular pipe guage (not a common tool for a homeowner) or with a Diameter MeasuringTape. Once you get the Outside Diameter of the pipe, follow our Nominal Pipe Size to Outside Diameter Chart to see what insulation size to order. It is NOT recommended to measure the Outside Diameter of a pipe with a standard measuring tape or ruler. Measuring a curved object with a straight rule results in "guestimates" which results in the wrong insulation size being ordered, especially on smaller pipes where the outside diameter measurements are so close. 2. Measure the Circumference of the Pipe: Follow the steps on our Pipe Size Chart. 3. 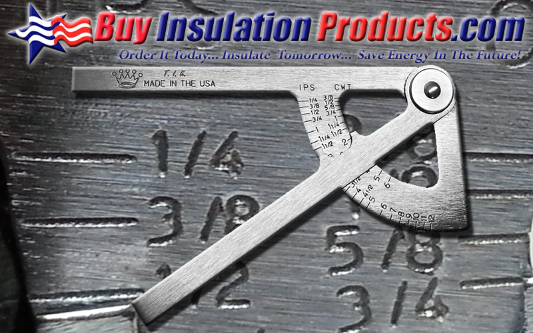 Use our Easy To Use Pipe Caliper: Our Pipe Caliper can tell you the size of your pipe in seconds which makes ordering insulation for jobs that have multiple pipes quick and accurate. From the image below, you can see that you simply put the pipe caliper around the pipe in question, and close the two wings (items 1 and 3) in tight to the pipe with the top of the caliper (2). 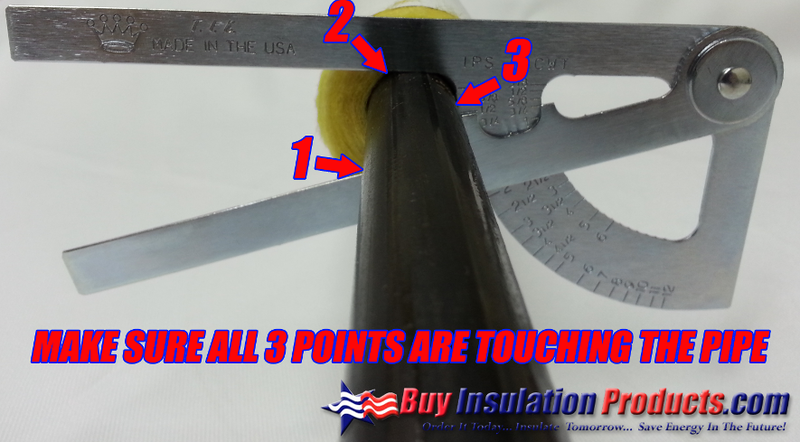 Once all three points of the caliper are touching the pipe, read the pipe size number that shows on the caliper (see red points below). For Copper Tubing sizes, simply go to our Copper to Iron Guide to see what insualtion size to order from our online store. For IPS, simply order that size on our site.